Sandy is an eight year-old shar pei mix who presented to the Animal Care Center late morning. According to her owner, she was normal the night before. She had a little bit of an appetite in the morning but, as the morning progressed, she became lethargic and seemed confused. She did not seem to “snap out of it”, so her owner brought her in. On presentation to the clinic, she seemed quiet, but would wag her tail when her name was called. A full physical exam was performed and her neurologic exam was completely normal. She did not have any neck pain. She did not have a fever. The owner and I decided to skip any diagnostics at the time, and the owner took her home for observation. Once home, she began to seem confused and lethargic again. The owner brought her back to the clinic. At presentation, all checked out to be normal on her physical and neurologic exam. Sandy wagged her tail when her name was called, and she walked across the treatment area for pets. A spot check blood glucose was run and her blood glucose was 49 mmol/L (normal is 80-130). We decided to run a full blood panel and a cPLI. All of her values and per pancreas were normal (other than a hypoglycemia). Sandy became a bit of a mystery. Starvation: Sandy ate some breakfast. Not likely. Overdose of insulin or diabetic medications: There are no drugs of this sort in the owner’s home. Xylitol toxicosis (usually gum): The owner does not have gum in the house. Sandy did not get into anything. Liver failure: Not likely because her liver values were normal and other liver products (like her albumin) were normal. *Sepsis (blood infection): Not likely because Sandy did not have a fever or an elevated white blood cell count. **Insulinoma (insulin-secreting pancreatic tumor): Possibly. Usually the rest of the bloodwork looks normal. **Neoplasia (cancer): Possibly but sometimes hard to diagnose. Sometimes bloodwork can look normal with cancer. I discussed the differential list with Sandy’s owner. Unfortunately the top 2 things on my list came with a rather poor prognosis, but we did not know for sure. Since the onset of Sandy’s illness was so sudden, and otherwise she seemed pretty normal, we decided to hospitalize her on IV dextrose to bring her sugar levels up and see how she did. Sandy did OK on IV dextrose through the day. She did not have much of an appetite, and she still seemed a little lethargic. Through the night, we weaned her off of the dextrose and monitored her blood glucose. Sure enough, her blood glucose dropped. Sandy was unable to maintain a normal blood glucose. The next morning, Sandy developed a fever. A recheck of her CBC revealed a very high white blood cell count. With these new developments, sepsis popped to the top of our differential diagnosis list. Since we did know the source of Sandy’s infection, Sandy was placed on very broad spectrum IV antibiotics. She remained at the hospital for 2 more days and responded very well to treatment. Her white count returned to normal, her fever dropped, and she no longer needed her IV dextrose. She was discharged from the hospital with several oral antibiotics that she finished up at home. 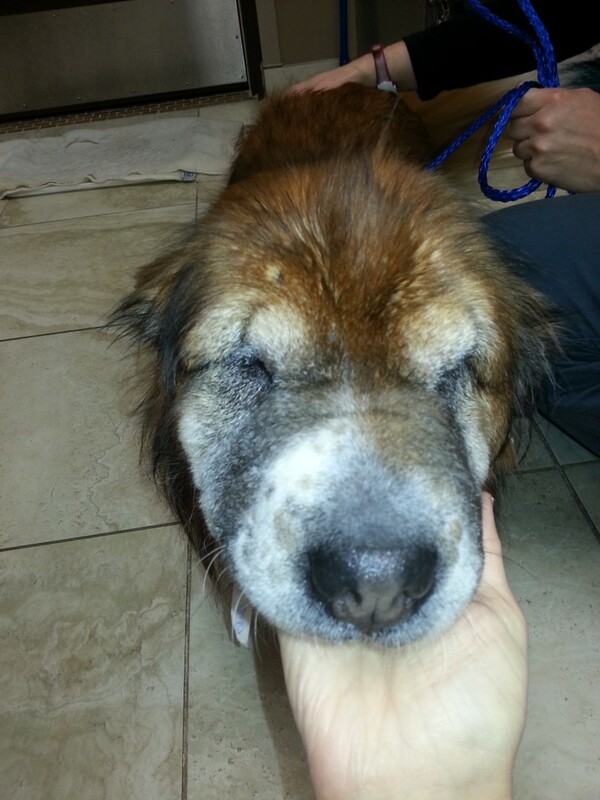 Months later, Sandy’s owner reports that she is doing very well. She is back to her old self. We still do not know the source of Sandy’s infection. On presentation we theorize that Sandy was confused because of low blood glucose. Septic patients have a low blood sugar due to the bacteria feasting on the patient’s glucose. White blood cells have many jobs including fighting infection in the body. Normally, septic patients have en elevated white count. Why were Sandy’s normal on presentation? When the body has infection, the WBCs head to that location and start to eliminate the infection. In the process, the WBCs will get “used up”. The bone marrow then receives a signal to make more to fight the infection. When we initially checked her white count, there is a good chance that Sandy’s body was using the cells but had not yet made enough to show a high white count. Dextrose in the IV fluids. When a patient has a blood infection, it can be risky to put them on IV fluids with dextrose. Any excess sugar is food for bacteria. When we placed Sandy on IV dextrose, we were feeding that bacteria and (likely) causing it to multiply. This is probably why Sandy spiked a fever and her WBC spiked dramatically after only a few hours on dextrose. Though it is risky to place a patient on dextrose if she is septic, it is also very dangerous for the blood glucose to reach low levels. Untreated hypoglycemia can lead to lethargy, confusion, seizures, brain damage and death. It was necessary to place Sandy on dextrose to prevent those catastrophic things from happening. We could have run a blood culture, however, cultures can take days to come back. Sandy did not have that time to wait. Due to an astute owner, and our close monitoring, we were able to treat Sandy as soon as we could determine what was causing her illness. We are so pleased that this wrinkly-faced girl is back to her old self!